Caitlin Aguilar, Director of Quality, is responsible for ensuring global consistency of A Greener World’s certifications. She received her BSc in Animal Science from California Polytechnic State University, San Luis Obispo, and has spent the past decade in beef and poultry farming. Before joining AGW, she worked in Quality Control and Regulatory Compliance for a California-based poultry producer. Kim Alexander, Auditor, was raised on a mixed livestock and crop farm in Iowa. In 1980, he graduated with a BSc in Agriculture Education from Iowa State University before embarking on a long and interesting career in agriculture, starting as a beginner farmer and agriculture instructor. In the 1980s, Kim pioneered a pasture-based layer, broiler, turkey and grass finished beef farming operation in central Texas, processing the poultry on-farm and direct marketing the eggs and meat to local customers – an approach almost unheard of at the time. Since then he has given presentations at numerous sustainable agriculture meetings across the country. Working as a part-time AGW auditor, Kim continues to farm pasture-based cattle, sheep, broilers and a fruit and orchard garden in western Iowa. Katie Amos, Lead Farmer and Market Outreach Coordinator, is a Pennsylvania native, currently living in Lancaster County. Before joining AGW, Katie worked as the Marketing & Sales Manager for a farm in PA, gaining a strong background in working with farmers and agricultural marketing. She is passionate about communicating the benefits of high-welfare animal agriculture to consumers and farmers, and enjoys promoting the program throughout her region. Katie is responsible for leading AGW’s outreach team, assists with new programs and initiatives within the organization–including AGW’s labeling support and membership programs, and is responsible for farmer and consumer services in the Northeast region. Daniel Brabson, Auditor and Slaughter Specialist, has almost 30 years’ experience in the meat industry. Daniel was raised on a small farm in north Georgia, where his family managed cattle, pigs and chickens. After completing high school and four years of military service, Daniel worked as a butcher for 24 years for various companies, as well as a Market Manager for most of the same period. He then spent five years working for USDA as a Meat Inspector, which covered slaughter plants and processing facilities, before joining AGW. Dr. Jennifer Burton, DVM, Auditor, earned her DVM at the University of Illinois College of Veterinary Medicine. Before that, Dr. Burton worked for 10 years in human healthcare including rural emergency response, farm rescue and hospital care. Her medical training builds on a Bachelor’s degree in Ecology to create a focus on sustainable medicine and food systems. Dr. Burton’s veterinary interests lie at the intersection of food animal medicine and public health, and include alternative livestock systems, integrative medicine, occupational health for producers and production animals and ecosystem health. In addition to private veterinary practice, she works with the Army Corps of Engineers to conduct ecological research using agent-based modeling. She also teaches undergraduate, graduate and veterinary students and community members in topic areas relating to sustainable food systems and integrative medicine. Dr. Burton founded and currently advises the student branch of the American Holistic Veterinary Medical Association and serves as a committee chair. Dr. Jan Busboom, Auditor, is a professor and extension specialist in the Department of Animal Sciences at Washington State University (WSU). In addition to his training and experience as a meat scientist and extension meat specialist, he has significant experience in beef, sheep and swine production. He is a leader of the Western (U.S.) Regional Beef Quality Assurance Program and the WSU Meat Animal Product Quality and Safety Team, as well as a member of the WSU Grass-fed Beef Production Systems Team. Jan was one of the leaders in the production of the Youth Quality Assurance and Animal Care Program published by Ohio State University. Jan and his wife, Janice, have a flock of 37 cross-bred ewes. They sell primarily project lambs for 4H and FFA projects and try to model and teach quality assurance and high-welfare care practices to these young producers. Callie Casteel, Farmer and Market Outreach Coordinator, is a Mississippi native who currently hails from Lyles, Tennessee. Callie has a background in increasing sustainable food in college dining and other markets. As a former sociology professor, she has also worked to incorporate food studies into the academic curriculum. Callie is passionate about connecting certified farms with new markets and teaching consumers about the intrinsic connections between animal health, environmental health and human health. Callie is responsible for farmer and consumer services in the Southeast region. Andy Clifford, Auditor, was raised and lives on a mixed livestock farm in central Oklahoma where his family raises, horses, mules, cattle, wheat, hay and pastured pigs. Andy attended Oklahoma State University where he got his degree in Agricultural Education. Andy started his career working in public service with a post-graduate internship at the Oklahoma Water Resources Board, time spent as a meat inspector with the USDA where he gained invaluable experience in an array of meat processing establishments, and a few years as an FFA advisor at a rural Oklahoma school where he had numerous students win prestigious awards on the state and national level. The last few years Andy has split time managing his other business pursuits and farming with his wife Francesca and young son Henry. Andy’s hobbies include furniture building, livestock genetics, foraging native foods and an interest in water law and irrigation systems. Jessa Farnsworth, Administrative Assistant, joined AGW in August 2018 and is a native Oregonian that grew up loving animals, especially horses. She has a BS in Animal Sciences from Oregon State University and she brings her experience as a former office manager/administrator at a staffing firm to the AGW team in the Terrebonne, OR office. Jessa is no stranger to wearing multiple hats and helps with creating and sending out farm correspondence, fulfilling merchandise orders, payroll, and any other administrative tasks that are given to her. 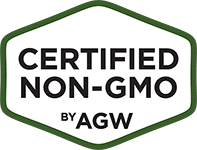 Andrew Gunther, Executive Director, has spearheaded the unprecedented growth of AGW’s flagship certification, Certified Animal Welfare Approved by AGW, for over a decade, leading to its distinction as the only “highly meaningful” food label for farm animal welfare, outdoor access and sustainability as designated by Consumer Reports. From an agricultural background in the United Kingdom, Andrew and his family pioneered the world’s first organic poultry hatchery for chickens. Andrew was a member of the U.S. delegation for development of standards related to ISO/TC 034/WG 16. Anna Heaton, Lead Technical Advisor, is a professionally qualified and highly experienced sustainable livestock specialist with extensive knowledge and skills across a wide range of farmed species. Anna has proven success in a range of areas from practical farm management to project management and consultancy with excellent ability in provision and dissemination of information. 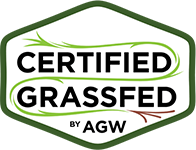 Anna has a degree in agriculture, 10 years experience as a farm manager overseeing a range of species and cropping enterprises, four years experience working for the UK’s largest organic certifier, the Soil Association, and now offers advice, support and technical training for AGW. Charlie Hester, Lead Slaughter Specialist/Auditor, was raised on his family’s farm in New Mexico. After graduating with at BBA, he left New Mexico and entered corporate America. After 30 years he has returned to his roots. Charlie currently lives in Texas where he serves as Business Manager of a vertically integrated family-owned food distribution network which includes a grassfed/natural ranch operation, organic farm, meat processing plant, health food store/restaurant and direct marketing at 14 area farmers’ markets. This ranch encompasses a sustainable cattle, hog, sheep, poultry and organic produce operation. Tim Holmes, Director of Compliance, is a graduate of East Carolina University with a BSc in industrial engineering technology. 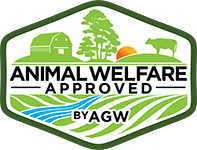 With more than 24 years experience as an outdoor pasture pig farmer, Tim is well-suited to inspect and verify compliance of participating farms with Certified Animal Welfare Approved by AGW standards. He enjoys working with farmers in the program to help ensure animal well-being. Amanda Hull, Farmer and Market Outreach Coordinator, was born and raised in Indiana, but has extensive work experience in the West region and is currently based in Tucson, Arizona. She has followed her passion for sustainable agriculture since graduating from Purdue University in 2009, managing small, diverse vegetable operations in Washington and Alaska and working in livestock management in California. She is particularly interested in supporting the creation of profitable, cooperative relationships for farmers, as well as promoting high-quality animal products as part of a healthy diet. Amanda is responsible for farmer and consumer services in the West region. Emily Moose, Director of Communications and Outreach, developed a love of agriculture at an early age during summer visits to her cousin’s hog farm in eastern Virginia. She is a graduate of UNC-Asheville and the NC State College of Agriculture and Life Sciences Agricultural Leadership Development Program and is based in rural North Carolina. Emily leads AGW’s outreach team throughout the U.S. and Canada, guiding communications and developing new programs and initiatives within the organization–including AGW’s labeling support, volunteer and membership programs. Richard Long, Auditor, grew up on a family dairy farm in west New York and received a BSc in Animal Science from North Carolina State University. After graduating, he returned home and operated the family farm in partnership with his father. Next, he returned to school to get an additional degree in Chemical Engineering and worked in industry for several years. Richard is now back in the agricultural world, working as an auditor for AGW. In his spare time, he also assists with local youth programs and is leader of the local 4-H Sheep Club. Richard and his family currently maintain a flock of registered Lincoln Longwool sheep for show and for wool production. Frank Morison, Lead Auditor, was raised on a family farm in Maryland producing poultry, cattle, hogs, corn, soybeans, wheat and hay, and eventually took over the farm. Frank has participated in a horse rescue program for racehorses and adopted two horses who are now a part of the family farm. He also works with various sustainable agricultural groups who utilize his technological knowledge and experience. He attends conferences and meetings related to building local food systems and is assisting on a project working toward building local food production. Peter Mundy, Writer/Editor, spent much of his childhood in upstate New York, before moving with his family to the UK. After gaining a MSc in environmental policy and management in 1997, he joined the UK’s largest organic certifier, the Soil Association, where he worked as editor for the ‘Organic Farming’ magazine for over 12 years. As a freelance writer, he has worked on several major sustainable food and farming projects, including editing the original content for the European Commission’s consumer-facing Organic Farming website. Peter is responsible for producing AGW’s quarterly ‘Sustainable Farming’ magazine, as well as contributing to other written material from the program. Christine Peckham, Corrective Action Plan Coordinator, holds a MSc degree in Geology from Sul Ross State University in Alpine, Texas. Previously, Chris performed technical and regulatory reviews of hazardous waste management facility permit applications and provided guidance and support for those facilities seeking permits. She also has extensive experience in the review, approval and oversight of the implementation of corrective action plans for the remediation of contaminated soil and groundwater at hazardous waste management facilities. Agriculturally, Chris worked as a scout for a crop management consulting firm, identifying and reporting insect and weed pests, plant diseases, mineral deficiencies and any other potential negative impacts on corn, soybean and wheat crops. Auria Tellechea, Auditor and Slaughter Specialist, was pasture-raised on the Western Slope of Colorado, and developed a love of animal husbandry at an early age. She received her B.Sc. in Animal Science from Colorado State University, where she studied livestock behavior and welfare outcome assessment. Before joining AGW, she was Assistant Plant Manager of a small, red meat slaughter facility near Louisville, KY. Auria currently runs a farm with her husband, where they holistically manage sheep, goats, cattle and chickens for targeted grazing & ecological restoration projects. She also breeds Colorado Mountain Dogs, an intuitive livestock guard dog breed. Auria is active in her local food economy, as well as with national organizations that connect conscious consumers with farmers who raise food regeneratively. 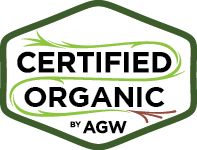 Julie Walker, Director of Operations, is responsible for the day-to-day activities of AGW’s certifications. She ensures the program functions smoothly while operating within the guidelines of AGW’s ISO/IEC Guide 17065 accreditation. She has over 12 years’ experience in non-profit management. Wendy Weirich, Auditor, received her BSc and DVM degrees from Michigan State University and her MSc in Livestock Health and Production from the University of London/Royal Veterinary College. She has worked in many aspects of small and large animal welfare, including projects in nutrition, behavior, housing and overall well-being. Wendy is also certified in medical acupuncture for veterinarians. Wendy lives on a farm where she raises and cares for Nigerian dwarf goats, Norwegian Fjord horses and Rhode Island Red chickens. She enjoys bringing together veterinary and animal husbandry skills to help elevate the level of welfare available to all kinds of animals and people, too. Stephanie Wuorenma, Communications Coordinator, joined AGW in Terrebonne, Oregon, in 2015 with over 20 years’ experience in marketing, printing/publishing and commercial art. Stephanie is responsible for website maintenance, social media content and public relations. She strongly believes that we all have a vested interest in helping to provide consumers with high-welfare, sustainable foods–today and for generations to come.